Muri Hillside Guesthouses is situated in the lush hillside right in the heart of Muri, on the south east coast of Rarotonga. The main township, Avarua is just ten minutes drive away, with the supermarkets, shops, cafes, harbours, banks and nightlife. 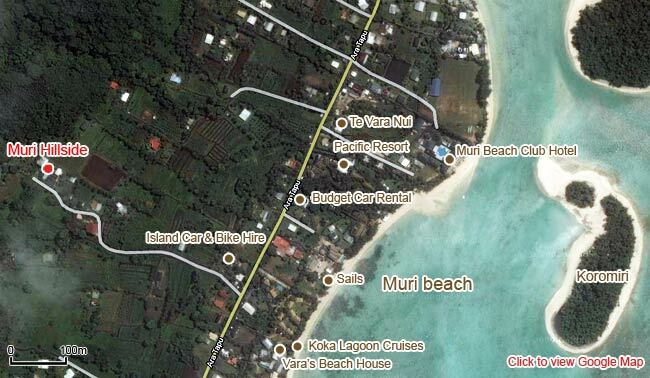 Only about 6 minutes walk down to beautiful and popular Muri beach, and within easy walking access to all restaurants, shops, cafes, rental bikes/cars, and activities in Muri.